In a society focused on results and end products, it is easy to forget that you can’t create without going through a process of creation. You may say you have a certain goal or end result in mind, but often the actual work may take you in another direction. And many times a seemingly messy detour becomes the path to something unexpected and wonderful. Sometimes the process includes unexpected time out. That time out may be a business setback that plunges you into deep waters as you work to survive and pay your bills. A layoff or hiring freeze means that the bright career plans are put on hold. The collapse of the music industry or tremendous changes in the book industry can mean that even successful writers and performers find themselves without a livelihood, having to reinvent not only their careers, but who they are and how to offer their gifts in a chaotic marketplace. Sometimes it’s a family emergency, and you may find yourself in the role of caretaker, putting your own life on hold while you walk with a loved one through the valley of the shadow of death. It might be a mistake you or someone else made, a change in market conditions, an unexpected emergency or health crisis. It could even be as simple as a creative project that didn’t come out the way you hoped, leaving you wondering whether you should try to salvage it or start all over again. Take it one day at a time. Instead of trying to second guess the future, look at what you have right now. What can be accomplished today? Concentrate only on what you are able to do today. Do what you can and let go of trying to control the outcome. All you can do is do your best and leave the rest up to God. In most of the important things in life, we are dependent on the nature of creation and time, the grace of the Life Force flowing in us and carrying us through the events and processes of living. In the larger perspective of life, eternal lessons teach us that trust and patience are required for the things that are really important. It takes time to raise a child, write a book, nurture a relationship, grow a career, and create a community. Think of a farmer patiently waiting for seed, soil, sun, and rain to do its work. The field must be plowed, the seed sown, the land fertilized and watered, the soil weeded, and the crop tended before it comes to full fruition. So it is with us. Trusting the process is a form of letting go. You can try to predict and control life, but life is larger and more gloriously complex than the calculating planning part of the human brain can comprehend. When some plan or project is on hold, trust that it, too, is part of the process. It has been said that we make our plans—and God laughs. So why not laugh along? Or at least stop resisting and open your mind to receive new insights. Trust that the goodness of life itself will lead you if you keep going. Trust the process of its unfolding. When a butterfly is working its way out of its cocoon, it is no kindness to cut the cocoon to make emergence easier. The struggle itself is an essential part of the process. When a human hand interferes with the process, the butterfly’s wings are undeveloped. It cannot fly. It dies. When the butterfly’s struggle is done in nature’s time, the emergence may last longer than our impatient hearts can stand. But when the butterfly finally emerges from this birthwork, it spreads its wings to dry, and then flies into its destiny. When you are stressed because your own process seems to be one of struggle and delay, remember the butterfly. Trust that a greater process is happening; that all this is working together for your good and your growth. Whether you are creating a work of art or a life, trust the process. Let go of your expectations and let what you are doing lead you from one step to another. Do your best and leave the results to God. Trust God from the bottom of your heart. Don’t try to figure out everything on your own. Listen for God’s voice in everything you do, everywhere you go. Sometimes providences, like Hebrew letters, must be read backward. One’s philosophy is not best expressed in words; it is expressed in the choices one makes. In the long run, we shape our lives and we shape ourselves. • Do a creative project, such as building model airplanes or knitting, and watch the process unfold. Meditate on the processes unfolding in your life. Life on the farm is a school of patience; you can’t hurry the crops or make an ox in two days. Man is the only animal that laughs and weeps, for he is the only animal that is struck with the difference between what things are and what they might have been. The chief pang of most trials is not so much the actual suffering itself as our own spirit of resistance to it. On every level of life from housework to the heights of prayer, in all judgment and all efforts to get things done, hurry and impatience are the sure marks of an amateur. 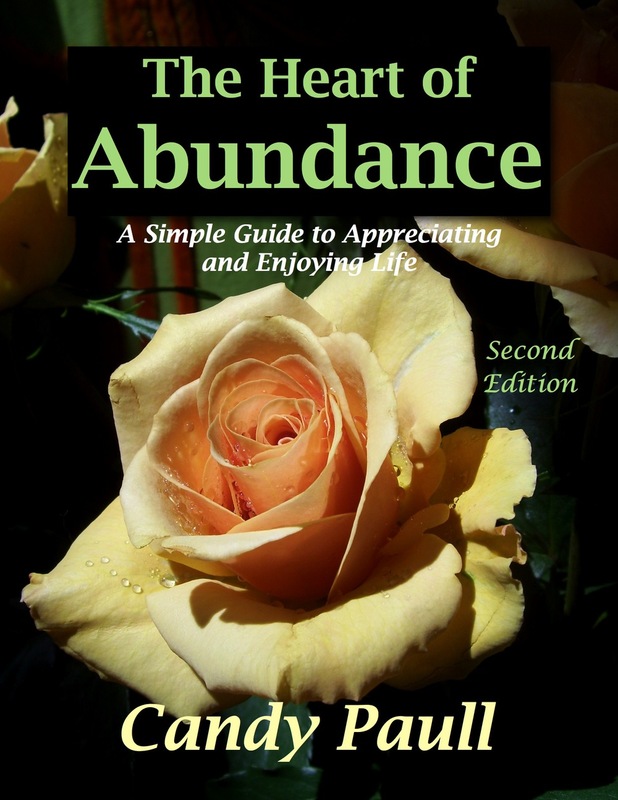 I have been working like mad on my first e-book, Inner Abundance, and it’s in the final edit and formatting stage. It’s been a long and heavy pregnancy with this book baby. There has been lot of wrestling with fear and doubt, especially because of the new e-book format. It hasn’t felt as “real” as a physical book with an established publisher. It’s a brave new world and there are no guarantees that this will work, only good people who have created their own e-book successes to encourage me. Now it’s almost ready in the text-only version that will be available for all the e-book formats. A PDF-only full color photo version will come later. Stay tuned for the birth announcement. Inner Abundance will soon be a bouncing baby book! I wrote this meditation a few years ago, but even with a milder than usual summer here in Nashville, an inner heat wave has enveloped me. I wrote more wisely than I realized when I wrote this meditation on waiting. The air is heavy with waiting. This is the hot breathless time of soaring summer temperatures, Bermuda highs, and killer humidity. It is a still time, when no breezes blow, no rain falls, and the sun beats down with its highest intensity. You can almost hear the plants growing, and you see daily development in the garden. But it is too uncomfortable to stay out very long. The minute you step outdoors, your clothing sticks to you, clinging to a body that is instantly covered with sweat. In this weather, only the bugs seem happy and comfortable. Here in the South, you learn to hibernate in the heat and choose your times of emergence into the outdoors wisely. You turn up the air conditioner during the day, wait till evening or early morning to do your hard work. You drink plenty of water, take it easy during the hottest part of the day, and wear comfortable clothes you can sweat into. You don’t just have to hibernate in the refrigerated indoors, however. You can also embrace the heat and immerse yourself in things as they are, rather than putting your energy into wishing for what isn’t. Spending time outdoors, embracing the heat, actually helps you cope, as your body adjusts to the temperatures and builds strength to endure. In the southern summer I have learned take long early morning or twilight walks in clothes that I plan to sweat in, carrying bottled water to keep myself hydrated. I move more slowly and take time to look and listen to what nature is doing. There on the banks of Lake Radnor, I listen to the call of the bullfrog, watch the deer and geese feed in the green pond goo of duckweed, see the waterbugs dance on the surface of the lake, making patterns like raindrops across its surface. I feel the silky warmth of the humid evening on my bare arms, become aware of the sensuousness of the misty night. I plan on cool showers when I get home and a long tall iced tea or lemonade. I eat more lightly, adapting to my body’s diminished appetite in the heat. When I am battened down in my air conditioned office, I disperse essential oils into the atmosphere to remind me of the mountains and cool breezes I long for: tree scents of cedar, spruce, juniper, pine, and fir; and herb scents of spearmint, peppermint, lavender, thyme, and marjoram. I listen to my body and take naps when possible. I allow myself to be more sluggish and respect the power of the heat and humidity. People die in these conditions when they don’t adapt or take care of themselves. And I wait, doing what work I can, but also knowing that the change in the weather is in God’s timing, not my own. I practice the difficult art of patience. 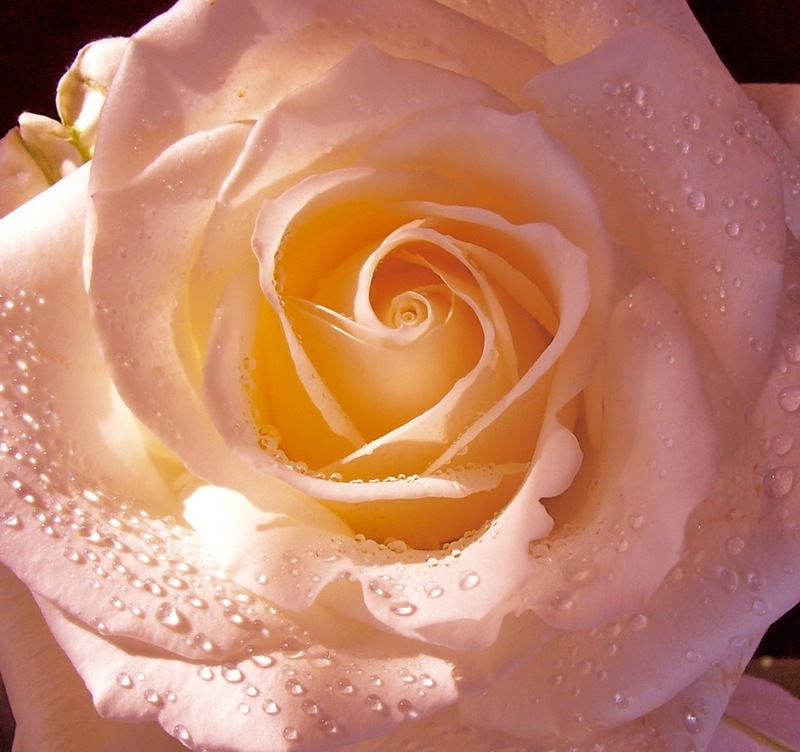 I'm writing about YOU & Abundance on my blog today! I have always loved your books and I'm glad to see that your website is up and running! It is good to see that you are still surviving and thriving! This season has been an especially challenging one for me, with the death of my father in April and taking care of my mother and all the "loose ends" involved. I like to stop by here for encouragement and inspiration. Namaste, Candy!